Sports Sucked In 2010. Admit It The World Cup went to Qatar; Sylvester Stallone was chosen for induction in the International Boxing Hall of Fame; the LeBron show was technically foul. And Brett Favre. Maybe next year will be better? Frank Deford doesn't think so. Sylvester Stallone at the premiere of The Expendables in Los Angeles in August. 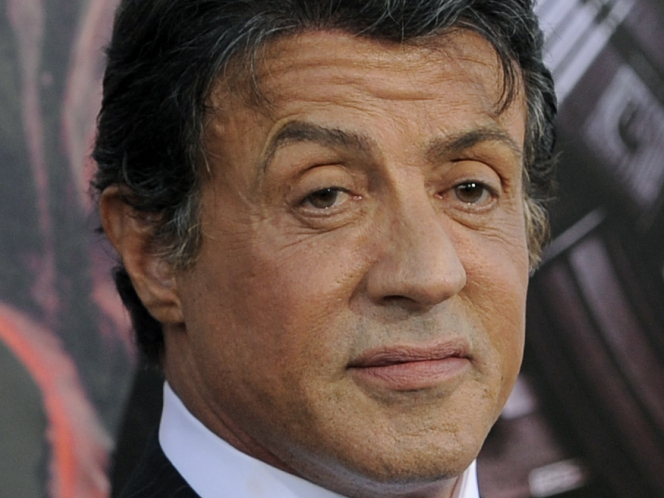 Stallone was selected for induction into the International Boxing Hall of Fame and Museum earlier this month. I want to jump the queue here to get ahead of all the annual stories about what a wonderful sports year it was. Please understand: In sports, it is always one fabulous year. That's because, in all sports years there are myriad games, so therefore there must be lots of winners. Ergo: What a great year we had, sports fans! The fact is, though, that (a) 2010 was a lousy sports year overall, (b) a really terrible sports year for the United States, and (c) 2011 looks like even more of a bummer. Sorry to be such a sourpuss, but you know things are desperate in sports when the Boxing Hall of Fame selects Sylvester Stallone for induction just because he acted like a boxer. And, hey, you know things are at a new low when the United States can't even beat out Qatar in its bid to host World Cup soccer. Bummer. 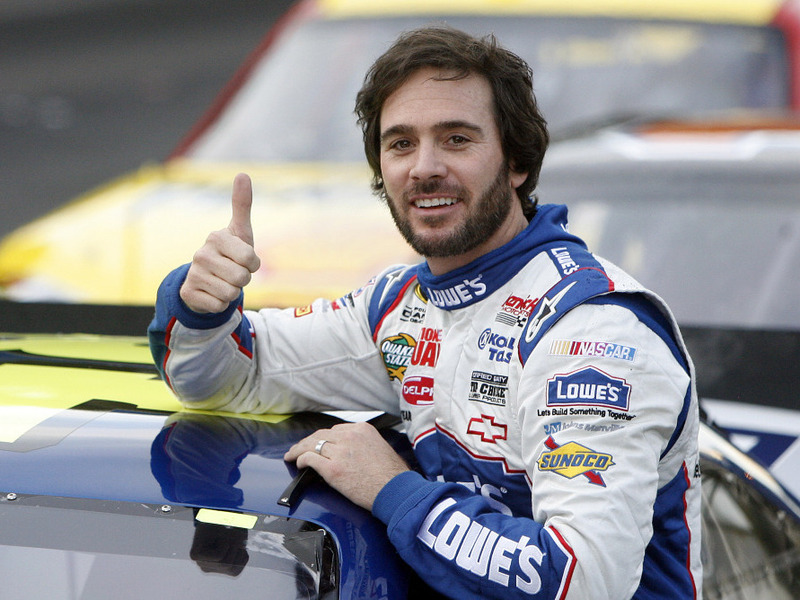 Jimmie Johnson gives a thumbs up to the crowd on the Las Vegas Strip during a NASCAR champions week victory lap earlier this month. Johnson has been named Driver of the Year for the fourth time. Golf as we know it actually disappeared in 2010 because whatshisname, the guy who was guaranteed to be the best golfer of all time, got into a spot of trouble and couldn't win at all. 0-for-2010. So golf didn't exist anymore. But in NASCAR, there, the same driver -- somebody named Jimmie Johnson -- keeps winning, but Jimmie is one boring dude and he never gets into trouble, so NASCAR fans are just as unhappy as golf fans. Yo, what was the basketball highlight of 2010? A game, maybe? No. LeBron James, whom everybody used to like, made a calculated fool of himself on his own reality show, took his talents to South Beach, and now everybody roots against him. The good news is, all the evidence suggests that by next season there will be a lockout in the NBA, so nobody will even care about LeBron James. Or basketball. The NFL is also in lockout mode for next fall. Well, there is a silver lining: There'll be nothing for Brett Favre to come back to even if he wants to. 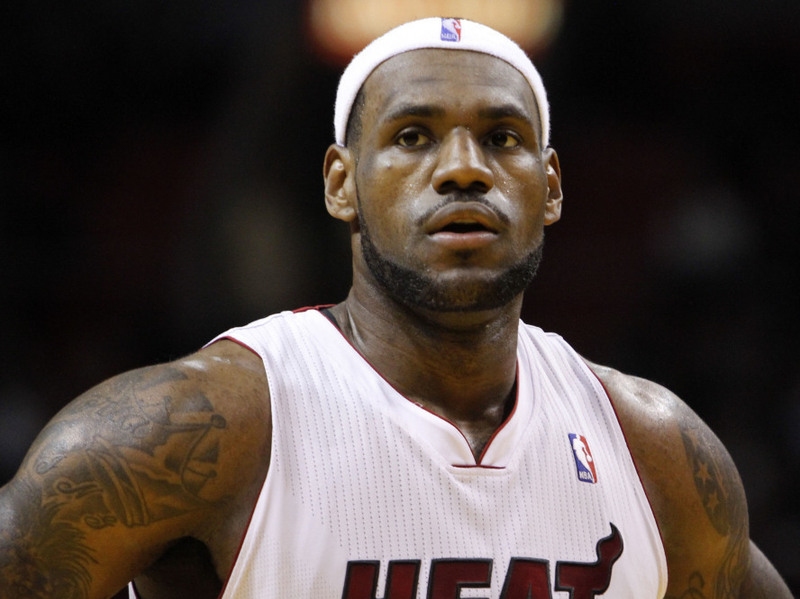 Miami Heat's LeBron James is shown during an NBA basketball game against the Cleveland Cavaliers on Dec. 15. Everybody is in a funk about college football because of the stupid BCS. And the guy who won the Heisman Trophy was arrested for stealing a laptop at Florida and is playing for Auburn only because his father couldn't sell him to Mississippi State. Oh well, be grateful for small favors. The likely MVP in the NFL is an ex-con. But then, hooray! We finally had a hero everybody could cheer for -- Zenyatta, the wonder horse. But she missed going undefeated, lifetime, by a nose. That's 2010 for you. The best athletes in the world in 2010 were a Filipino, a Spaniard, a South Korean and a Canadian: Manny Pacquiao, Rafael Nadal, Kim Yu-Na and Sidney Crosby. Unless, of course, you count Sylvester Stallone. And you thought the economy was bad.